Because today U2’s best album Pop turns 20 years old and The Joshua Tree turns 30 years old in 6 days, this story about U2. My relationship with U2 starts in 1981. 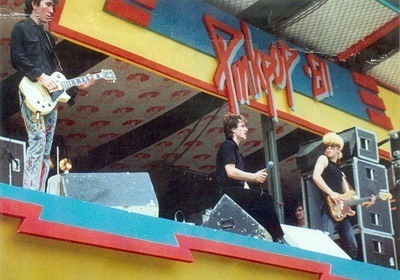 On June 8th of that year a virtually unknown U2 plays the Pinkpop festival in Holland. In those days the Pinkpop recordings were completely broadcast on the radio. I am curious about that new band (I recall reading about them) and tape the concert. I don’t believe my ears. A very energetic band with great songs, that have content. During the concert it becomes obvious that the crowd at Pinkpop becomes enamored with this young band. Singer Bono Vox pronounces halfway through the concert We have some friends in the front, thank you very much. I think we got some friends all over the field. Thank you. More than we expected! The sincere amazement is touching to hear. It was soon apparent that this was a band with a great future and would become huge one day. The enthusiasm of the singer was huge, the distinctive guitarsound of The Edge stood out and the rhythm section was tight. I listened to the recordings of this concert over and over and over again and am very happy I was able to obtain the recording on cd some years ago (thx Tom!). After all these years it is still a fun show to listen to! When it was announced in October of 1981 that the sequel to debut album Boy, which I had bought in the meantime, was going to be released that month, I listened to Dutch radio. Two songs off the new album were played: beautiful! The album October, which turned 35 years old last year, was also very very good. Both albums would rarely leave my recordplayer. The recordings to the concert at Belgian Werchter festival on July 3rd, 1982 were also broadcast on radio (KRO’s Rocktempel): once again fantastic! That same year I Will Follow was released as as live-single in The Netherlands and Germany. The next album was War and I absolutely hated it. I thought the songs were crap, the production was crap, still do (although the album contains “40”). Because my oldest sister was obsessed by U2 at the time (still is by the way ), I still heard U2 (almost) every day. Live album Under A Blood Red Sky was an improvement on the previous album. When the single Pride (In The Name Of Love) was released I thought the song was nice, but not worthy of acquiring it. This applied to the album, that contained the song, as well: The Unforgettable Fire. Unbelievable, looking back on it. Combined with Pop, these are the two best albums U2 ever released. I first truly recognized that on July 13th, 1985: Live Aid. Just like on the Pinkpop day, history was written. On that day U2 transformed from (small) new-wave band, with a reasonable amount of followers, into a world class act. The Unforgettable Fire song Bad was played and extended up to 12 minutes, resulting in U2 only playing two songs. It turned out to be enough. 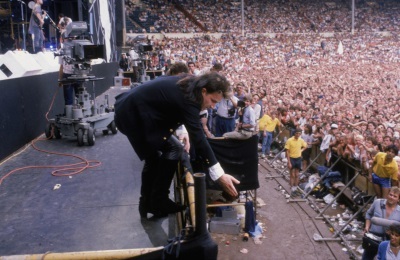 It has become an almost iconic image: Bono seeing a girl passing out in the crowd and consequentially saving her from the commotion (the girl later claimed that Bono saved her life). It also had a side effect. The other bandmembers, who didn’t see Bono and didn’t have a clue where their singer was and what was going on, were pretty pissed off at their singer that they weren’t able to play Pride (In The Name Of Love), which was planned after Bad. Another consequence was that Bono as a ‘Jesus like figure’ became an inseparable part of his image. I never took issue with Bono’s antics, but there are hordes of people who are beyond annoyed by Bono and his mannerisms. The truth is, of course, that he gets more things done than all these little opinionated bourgeois people and their moaning. So, in that respect: go Bono! That U2 was elevated into another class was proved beyond any doubt with the release of the next album. 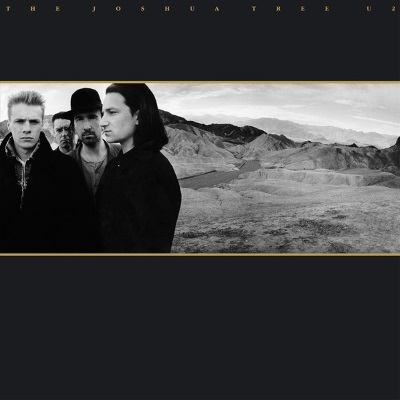 On March 9th, 1987, 30 years ago, The Joshua Tree was released. It became a global phenomenon. Rightfully so. The album starts off with Where The Streets Have No Name, followed by I Still Haven’t Found What I’m Looking For which is followed by With Or Without You. The album is just 3 songs in and already we have heard 3 classics, not just in U2’s body of work, but classics, period. All 3 were also released as a single and became huge hits. The album was sold over 20 million times. Besides the opening songs, much more beautiful songs are on the album, like the beautiful One Tree Hill, Exit and closer Mothers Of The Disappeared, which was a tribute to the Madres de Plaza de Mayo (who fought for years for recognition for their ‘disappeared’ family members under Argentinian and Chilean dictatorships) and the COMRADES (for ‘disappeared’ children in El Salvador). The The Joshua Tree tour was recorded in (music)documentary Rattle And Hum, as a movie (I saw it in a movie theater, together with my oldest sister) as well as a (double)album. At the time I was employed at (Amsterdam record store) Concerto and witnessed the band’s popularity first hand: the pile of albums vanished right under our noses. In a very short time we were completely out of stock, which was considerable at the start of the day. 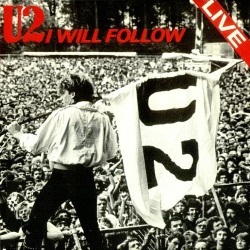 In December of 1989 I saw U2 live for the first time: Bono lost his voice and the concert was cut short. The next studio album was Achtung Baby. The single leading up to the album’s release was great: The Fly, which was a very nice song and sounded nothing like U2. However, the album is not one of my favorites. The sound and production are great, but I think many of the songs are a bit boring. This album is generally regarded as their artistic highlight. Probably needless to say: not by me. 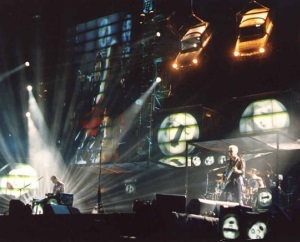 The second time I saw U2 was on the (fantastic) Zoo TV tour: the spectacular groundbreaking tour behind Achtung Baby. At the time of the concert their new album Zooropa had just been released. I thought it was an intriguing album. I thought single Numb was a genius song. Album Original Soundtracks 1 by Passengers (a pseudonym for U2) passed me by at the time, even though single Miss Sarajevo (featuring Luciano Pavaroti) was beautiful. 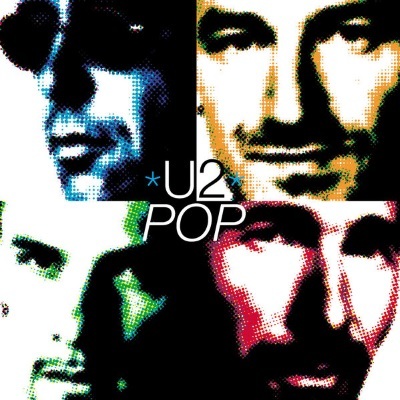 On March 3rd, 1997, 20 years ago today, the best U2 album was released: Pop. U2 wanted something different and was heavily influenced by other musical styles. On top of that, U2 dared to experiment, something I greatly admire. Alternative rock was fused with dance, techno and electronics. U2 used (studio) techniques that were new to them, like sampling, sequencing, loops and programmable drum machines. Multiple producers were brought in for the album: Flood, Howie B, Nellee Hooper and Steve Osborne, the thought being that the band could test out their ideas on several people, generating several (new) angles. Around the time of the start and the first year (!) of working on Pop Larry Mullen was unable to play the drums, due to a hernia and the consequent operation and recovery, so work started without him. It resulted in a different approach to song writing, and a different rhythmic approach as well. When Larry Mullen was available songs were adapted to fit in Mullen’s drumming. The original deadline (around Christmas 1996) was delayed. Meanwhile the band had ordered their manager to plan and book the Popmart tour. U2 met with time issues. The end result was not to U2’s liking. The Edge claimed it became a project of compromise, by the amount of time that had to be spent mixing, recording and preparing the next tour simultaneously. Mullen stated he would liked to have had three more months to give every song the time and attention they needed and deserved. Afterwards the band re-recorded and or re-worked a lot of songs for use on singles and on the compilation The Best Of 1990-2000, which was released in 2002. I personally don’t understand this at all. I think Pop is U2’s finest album. Not a single song is a filler-track. Some pieces within songs move me greatly (the third chorus in Gone gets me very time). Besides that I think it’s an extremely courageous album. The album clearly deviated from the U2-norm and it resulted in an exciting album which contained great music! Another consequence of the many extra hours was that preparations for the new tour (named Popmart) didn’t go according to plan. The start of the tour, in the USA, was troublesome. The band was not fully rehearsed and the setlist was not up to par. 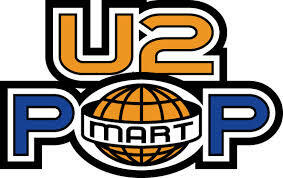 As the tour got further underway, and it was time to bring the show to Europe, Popmart was in full force. The European tour opened in Rotterdam. I was at the second show and was very impressed. The ambiance throughout the stadium was perfect. Dance music was played (loud!) before the show. When Pop Muzik (a B-side, modeled after M’s Pop Muzik) was played, the show started. I thought it was magical. The 50 meter wide LED screen was impressive (the largest ever), the show was fantastic and the band played very well. 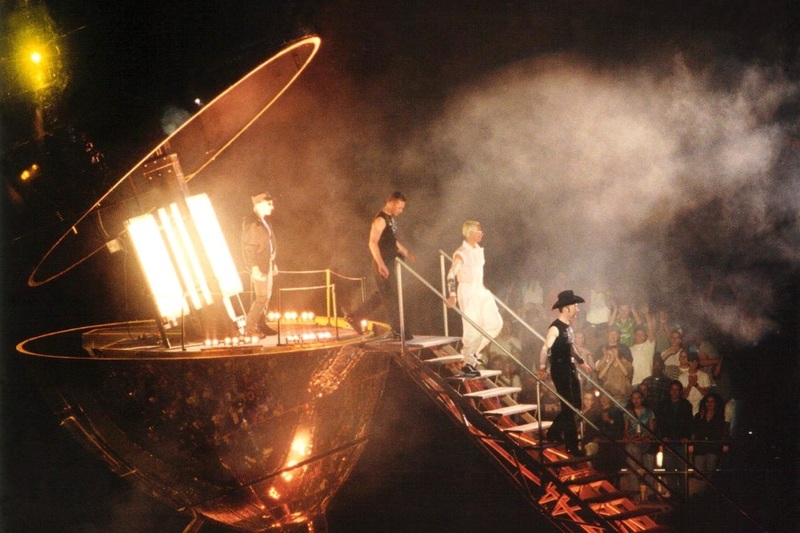 That the band emerged from a 12 meters high glitter-ball, shaped like a lemon, while a remix of Zooropa‘s Lemon was played, was a funny (yet spectacular) bonus. The whole idea behind the tour was, just like the Zoo TV tour, that the band portrayed an image and performance filled with irony and self-mockery, contrasting the, o so serious, shows during the 1980-1990 years. 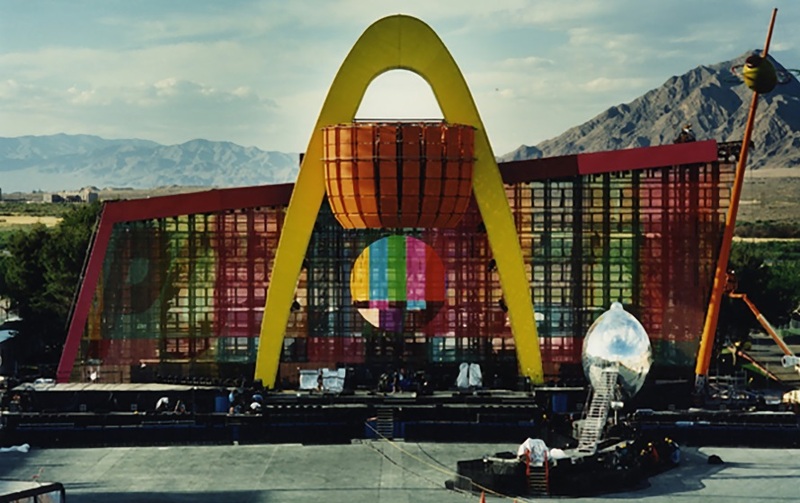 The band wore costumes, that, combined with the Popmart design, took the piss out of consumerism and pop(ular) culture. Speaking about this tour, Bono claimed he liked this tour better than Zoo TV (on which I totally agree) and that “When that show worked, it was mindblowing” (Q magazine, juli 2010). After that my relationship with U2 seemed to fade away. All That You Can’t Leave Behind, How To Diamantle An Atomic Bomb, No Line On The Horizon and Songs Of Innocence are interchangable. No highlights, a bit (very much so actually) boring. I did see the Elevation Tour, but didn’t like it at all. I also saw the 360° tour (thanks to my oldest sister!) and it was a good one (The Unforgettable Fire and I’ll Go Crazy If I Don’t Go Crazy Tonight were brilliant!). I’d had enough, but still…. The first reviews about the Innocence + Experience Tour were so impressive that I started to doubt. I miraculously was able to get great seats. So I went, together with my son Rachid, to the Ziggo Dome, to the last (fourth) Amsterdam show. Nothing could have prepared me for that. This was really really good. 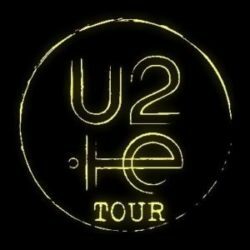 Everything gelled: the soul, the show, the sound, the setlist and closing the show with Bad en “40”, which hadn’t been heard in Europe for quite some time, made this the best U2 concert I ever witnessed. An absolutely brilliant evening! And Rachid? It was his favorite concert ever, until Bruce Springsteen turned Paris upside down in 2016…. 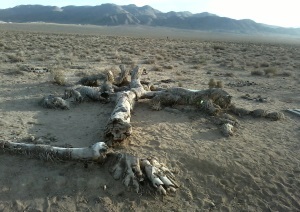 In 2000 news came out that the original joshua tree, near which U2 had posed during the Anton Corbijn photo sessions, had collapsed. A memorial plaque has been placed by the original (remains of the) tree…. At Christmas time of 2016 it was made known that U2 would do some special shows in 2017, with The Joshua Tree in mind. 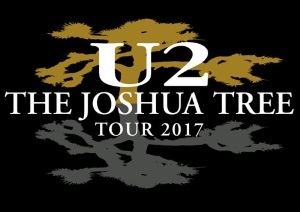 At the beginning of January of this year it was confirmed: The Joshua Tree Tour 2017 was announced. During this tour the entire album will be played every night. U2 will play Amsterdam too. Am I Going? Yep, thanks to my oldest sister (once again)! What do you think of U2? Overdone pathos or fun? Let me know!